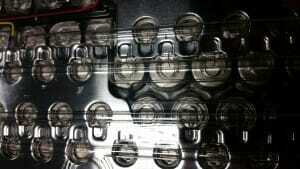 Ever since Tesla’s (NASDAQ:TSLA) Model S successfully entered production in 2012, one of the central issues in the company’s investment story has been whether it can sustain a battery advantage over the competition. Volkswagen (OTCQX:VLKAY) invited me to a set of meetings to hear its side of the story, as told by the overall R&D boss, Heinz-Jakob Neusser, and Audi’s (OTCPK:AUDVF) R&D boss, Ulrich Hackenberg. If Tesla can maintain this battery advantage as it moves to a lower-priced car 2017-2018 and beyond, ranging from $35,000 to $60,000, such an advantage could potentially overcome the company’s lack of scale in producing the rest of the car, and could therefore make Tesla into a far more relevant automaker than it is today. – Volkswagen believes a shift to electric cars is the biggest paradigm shift in the automobile business over the next decade. This is interesting, because it also acknowledges that in the near term, demand remains quite low. Volkswagen’s production of one model alone, the eGolf, is now approximately 30,000 per year annualized. In addition to the eGolf, Volkswagen also offers the eUp and Golf GTE in some markets. Audi has the A3 eTron, and Porsche (OTCPK:POAHF) offers three models. Later this year, the VW Passat GTE and the Audi Q7 eTron enter production. Volkswagen is the middle of launching 40 plug-in electric models for the near term. – In terms of the battery technology debate, Volkswagen agrees with Tesla that the shape of the battery cells essentially doesn’t matter. The differentiation will be in other technology choices, such as chemistry, packaging, thermal management, software and so forth. 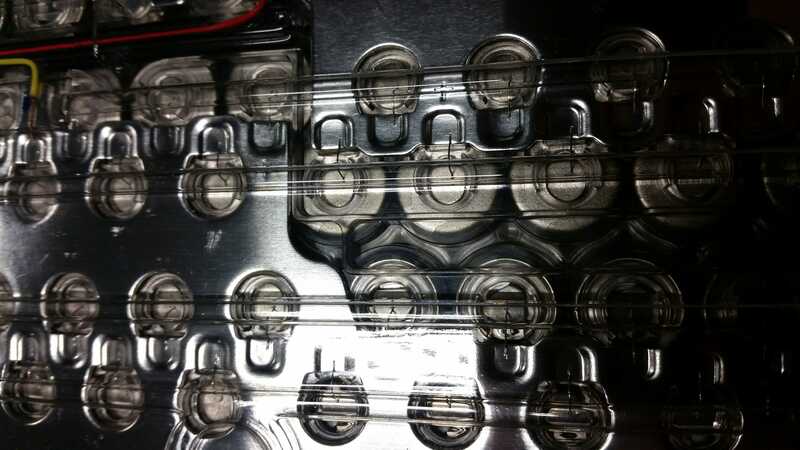 Volkswagen’s strategy to undercut Tesla on battery cost is this: It has standardized on a module size – think, a shoe box – into which battery vendors such as Panasonic, LG (OTC:LGEAF) and Samsung (OTC:SSNLF) can fit either flat/square battery cells or cylindrical ones such as the ones Tesla has been using. 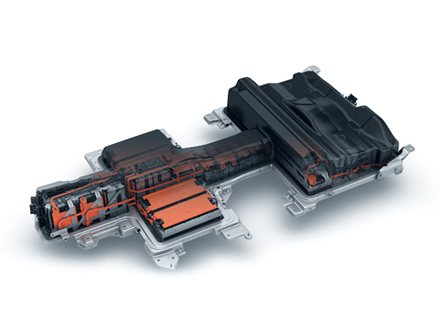 This interchangeability, therefore, gives Volkswagen the ability to simply play out the battery vendors against each other without having to redesign the car’s hardware. On any given day, Samsung, LG and Panasonic will be willing to sell any of two standardized battery sizes (cylindrical and flat/square) for a different price. At this point, Volkswagen can effectively conduct a “reverse auction” among the suppliers, in order to secure the lowest price. 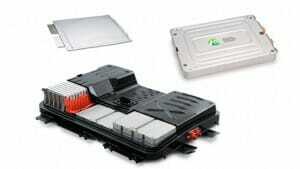 – eGolf and eUp: Panasonic cells, but Volkswagen makes the battery pack. – Golf GTE: Panasonic makes both the cells and the entire pack. – Passat GTE: Samsung cells, but Volkswagen makes the battery pack. In a separate interview, Audi CTO Hackenberg dropped a bomb by confirming how flexible this Volkswagen battery strategy is. He said that the all-new Audi R8 eTron, which Audi expects to have a range of 280 miles, has a battery pack that consists of 52 modules containing a total of 7,488 cells. In other words, 144 cells per module. 7,488 cells in total. You know what that means, folks. 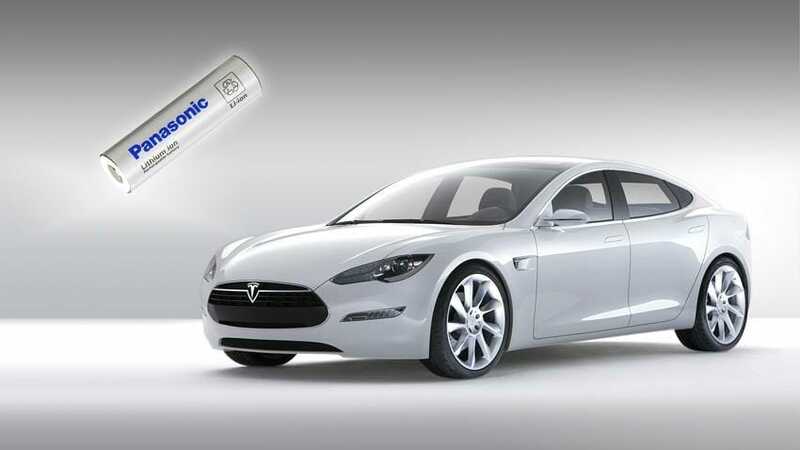 It means that Audi is using the same cylindrical cells as Tesla, even though the vendor in this instance is Samsung, not Panasonic. It’s no wonder that the overall battery statistics of this car, the R8, are therefore similar to Tesla. The capacity of the battery pack is similar, the kind of cells used is similar, the weight per kWh is similar, and the range is similar. The difference is that while Audi uses this Samsung cell today, it is not wedded to what it would be producing in its own battery cell factory, had it been in Tesla’s shoes. Audi can switch to LG and Panasonic, and switch from cylindrical to flat/square battery cells, if the battery cell price fluctuates in its favor. It’s harder to do that if you own your own factory for which you have paid billions and have to run at close to full capacity utilization in order to be competitive on cost. The one area where Volkswagen does not want to take as a direct and active role in the electric car food chain is the charging network. While it dabbles in small initiatives here and there, it basically wants to stay out of it. It wants other entities, such as gasoline stations, parking garages or other independent service providers, to deal with electric car infrastructure. The rationale for this is that it does not want to saddle the buyer of a plug-in electric car – who basically is charging only at home and/or at the office – with the cost of building out the infrastructure. It would add to the price of the car, and Volkswagen aims to be the low-cost leader. While I agree that in the long run, car companies ought not be involved in charging infrastructure build-out, I disagree about the short term. To ensure the best possible customer experience in these nascent electric car days, I think it would be wise for the automaker to take a very active and direct role in funding this civil engineering project. It does not need to last for too many years. After a few years, it can be sold to an independent party – sort of like what happened to Orbitz in the airline industry. But it needs the automaker’s far more robust push in these early days.